To pick the best memory foam mattress it’s not an easy task. Because there is a number of brands and different types of mattresses are available which makes you confused. Also, there are so many other factors which you need to consider like types of form, density, thickness, lifespan, warranty and much more. Also, the price may vary from small amount to big amount, but the important thing is that you have to choose the right one when you spent your hard earn money. But don’t worry my memory foam mattress reviews and buying guide are there for you to help the people who are planning to buy best memory foam mattress. Here in this article, I have mentioned all the things which you need to know so if you a few minutes then read the below full guide. What Is A Memory Foam Mattress? Is This The Right Material And Type Of Mattress For You? I think many of us don’t know about the memory foam mattress and ask this question to ourselves, am I right? So here I want to tell you that in a simple language, memory foam mattress are generally using viscoelastic foam while manufacturing and consists the three layer of design. Comfort Layer:- The top “comfort layer” is manufactured with the special materials which form to your body shape when it comes into a contact with our body heat. By forming the body shape and the downward stress and pressure which are created by the gravity on our joints are reduced. If the foam cooldown or if the body heat is not in contact the surface will come into its original position. Support Layer:- The second layer is a “support layer”, which is design to be stiffer rather than flexible so the shape of the mattress is maintained. It also takes care of the top soft and thinner comfort layer. Base Layer:- Now this is the last “base layer” which usually comes at the bottom of the design. This base layer supports the above both layer and also this layer is stiffer than the above layers. The each layer mentioned here comes with the sub-layer but it’s depending on the manufacturer. There is a number of viscoelastic foams are available but the thing is that not all the foams are memory foam. In the past years, manufacturer companies have experimented with this types of foams and came up with variations with the hug, cooling, contour, durability and sinkage levels. While there are numerous foams are available but here are the four regular foams which you will normally see in the market. This foam is designed to enhance the body circulation and reduce stress on your joints. This foam is good for a side sleepers. To battle heat retention, manufacturers came up with a solution in terms of open-cell foam. While it still provides similar and familiar feel, small air pockets provide a much cooler sleeping experience and better response time. This foam is better for cooling. This foam provides you a similar kind of feel like the traditional type foam. This foam prvides you a faster response. This gel memory foam mattress is one of the latest kind of mattress foam. Basically, this is the traditional viscoelastic foam which is implanted millions of gel particles. The main thing behind this technology is the gel which will not catch heat like its ancestor; trapped heat can lead to poor response times when someone moves around and can also increase the body temperature. There are big brands such as Nectar, LUCID, Brentwood etc which are the established online brand which has popular gel foam mattresses. If you can then go with this liquid gel foam mattress, the reason is it provides you excellent cooling than particles. If there is a density which is lower than PCF 3.0 then don’t go for it. Actually, this is the indication of a lower quality of mattress foam. The Plant-based or Eco foam memory based mattresses is one of the most popular mattresses in the market. The reason behind this is its environment-friendly method and replacement of petroleum-based materials with bamboo, tea, soy or Aloe Vera. These kind of materials are better for heat distribution and provide enough required joint pain relief and better movement isolation. It is better for heat distribution and movement isolation. It is expensive than the traditional foam mattress models. If You Are Suffering From Back Pain – If you are suffering from a back pain then you will need a material that conforms to your body and provides pressure relief. Memory-foam is perfect for this, and it’s the most recommended for back pain. If You Love To Sleeping On Your Side or Back – Contouring and hug are especially important for side sleepers as firm materials that do not conform tend to create pressure points on your shoulder and hip joints. If You Are A Stomach/Belly Sleeper:– If you like to sleep on your stomach/belly then your torso will create a pressure point, and your overall sleep experience will suffer. So for this sleeping position you will need a firmer surface, so you will not sink too deep. If You Are Hot Sleepers:- The important thing about this material is that it sleeps hot, even if it has cooling gel. If you are in a warm climate then you might choose the other mattress option. When you will try to find the products you will get priced around $200 to $2000, so it’s obvious there is a difference. So let’s take a look at the most important thing which decides if the quality of the mattress is good or not. You may think what is the meaning of these numbers right? So these numbers show you how much is the actual weight of the product if it was heavier then it solid material. The weight of the mattress is measured by per cubic foot. You may also think that the heavier mattress is more expensive than the lighter one but the important thing is that the expensive one gives you a good support and it was more long-lasting. The thickness of the mattress layers is also one of the important factors when you are choosing the sleep quality. You will get a thickness of mattress in between 7 inches to 16 inches and there is a chance to get more than this. The importance of the thickness differs from people to people because it’s depending upon the type of your bed. Like for an adjustable bed maybe you want the thin and flexible mattress or if you want to increase the height of you low height bed you need something tall and thick. Normally the thicker mattress is the expensive one because they have more than the 3 traditional layers. It may be included an additional ventilation layer or an extra comfort layer. Generally, there 3 layers which complete the design and each layer is different in thickness and also it has its own purpose. One thing which you need to note down and that is the mattress is thicker it doesn’t mean it is a good quality mattress. Make sure to check out the thickness of each layer, material and foam type which included in the mattress design. Basically, if you spent a good amount of money on buying a high-end mattress, in-return you will get a good product which will stay as it is for a longer time. If you are buying a high-end memory foam mattress then you can expect it will give you a good performance of around 7 to 10 years. In this case, if you buy a high-end mattress then it will come with the longer time of warranty. There are many high-end mattresses manufacturers offer around 20 years of warranty which is good enough. While if you buy less-expensive mattress it only offers you around 5 years of warranty. So the quality and the range of the mattresses is connected with the warranty which they are offered. The best thing about LinenSpa 8 is, this is the budget-friendly and also best selling mattress on Amazon.com. This is the first hybrid mattress of this list. This mattress is a combination of memory foam and innerspring, so this is the best option for both. This 8-inch hybrid mattress advantage is that it has memory foam which relieves pressure and also it has innerspring which gives you the traditional support. The LinenSpa 8 mattress has a layer of memory foam and it is quilted in the soft fabric cover. Below that it has a 1.5-inch of comfort layer of foam which distributes weight equally and adjusts to curves to minimize pressure points. It gives you a deep support which comes from the steel coils and that provide you an excellent back support and conventional bounce. This LinenSpa 8 mattress is combined with the latest technology which makes you comfortable, pressure relief and gives you reliable support. The foam which used in the Linenspa mattresses is separately tested and certified by CertiPUR-US for safety, quality, and environmental stewardship. This Linenspa 8 mattress gives you 10 years of warranty which protects the mattress and also cover against the manufacturer defect, so buy this mattress with the confidence. This Zinus 12 is another fairly budget mattress and this mattress is one of the popular choices for those who want eco-friendly luxury at a reasonable rate. This mattress is built with the four layers of high-quality foams such as memory foam, comfort foam, high-density foam and high-density support foam which gives 12 inches of comfort support. This mattress is infused with the natural green tea extract and Castor Natural Seed Oil to naturally retard odor & bacteria that’s why this mattress will stay fresh for many years. This 12-inch green tea mattress is healthy, innovative and fully comfortable. This Zinus mattress is the good option for all kind of sleepers and also for those who have a back pain too. This is an all-rounder mattress and surprised many of us with its performance and also it is great value for money. This Zinus foam is certified by CertiPUR – the US for its durability, performance, and content and also it offers you 10 year of worry-free warranty. 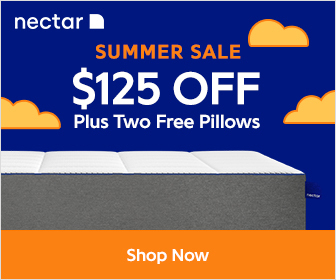 This 12 inch Signature Sleep memory foam mattress is built with the CertiPUR-US certified foam, you don’t need to worry about anything you can trust on it and go for it. The first layer of this Signature Sleep mattress is 3.5 inches of comfortable memory foam and under this layer, it has 8.5 inches of a high-density foam layer. To give a comfortable night sleep its memory foam mattress molds as per our body’s natural shape. This mattress is eco-friendly and comfortable which reduce the pressure on our body, distribute the weight evenly and provides support. Also, it doesn’t matter how much you are tossing and turning, this is the best option for stomach/belly sleepers. Under the $300 this LUCID memory foam mattress is good bang for the buck. As this Lucid mattress comes with the dual layer, the top layer is 2.5 inches of ventilated gel memory foam and the second layer is 7.5 inches of high-density support foam. This dual layer gives you an excellent support with a medium-firm feel. The top gel memory foam is infused with the heat-capturing gel material which prevents from the heat build-up. Its Microscopic gel particles help to capture heat and move it away from the body and control the temperature when you sleep. The surface layer of memory foam comes with the ventilated design which improves the airflow. Its open-cell structure memory foam makes this mattress for a long-lasting, more flexible foam which will not leave long-lasting body impressions. The mattress cover is made with the cozy TENCEL blend fabric which includes 10% of TENCEL lyocell and 90% of polyester, so this kind of blend fabric soft cover creates a breathable air layer at the top of the mattress. The foam used in this LUCID mattress is CertiPUR-US certified and also offers you 25 years of warranty. This Brentwood Home Cypress Mattress is mostly used as an adjustable mattress and this is smart, innovative, multi-layered design. This 13 inches mattress is contained with three different layers of materials. The top layer is 3.5-inches of gel memory foam which helps to relieves pressure points by distributing weight evenly throughout the mattress. This mattress is ideal for couples and also it has isolates motion, so you will not disturb your partner while you are sleeping. The second layer has ventilated Airflow Zone which allows the mattress to breathe and it helps you to stay cool and comfortable whole night. The last base foam layer has solid support base absorbs to our weight to dampen motion transfer and prevent noise. This Brentwood Home Cypress Mattress comes with the removable wool-lined zipper cover. The safety of the family is to keep in mind they have used CertiPUR-US certified foams which are free of flame-retardants, formaldehyde, heavy metals, and phthalates. This Brentwood mattress is a good option for those who side sleepers, back sleepers, and stomach sleepers or partners with different preferences. This made in the USA mattress offers you 25 years of warranty. The Tuft & Needle Mattress is one of the best mattresses on Amazon and over 10,000 reviews on Amazon 90% of the people give a 5-star rating. In 2015 the leading consumer product review organization has announced this is the number 1 Mattress Brand and in 2016 they are rated as a Best Buy. This mattress is built with the Tuft & Needle adaptive foam which gives you a bouncy, supportive feel and it is perfect for all kind of sleepers. It comes with the pressure relief and localized bounce, so it helps to not disturb the sleeping partner. Its adaptive foam is more advanced than the outdated foam, which causes you to sink in and feel stuck and sleep hot but the T&N adaptive foam sleeps cool. This mattress is not too soft and not too hard it has just the proper mixture and offers everything which you need for a good night’s sleep. This Tuft & Needle award-winning Mattress is manufactured in the USA and the best thing is that you will get 100 Night of sleep trial with refund guarantee and in case if you will buy then you get 10 years of warranty. The Leesa Mattress is designed beautifully and crafted with the three foam of layers, comes with the luxury look and feel which attracts everyone. The top 2 inches of Avena foam layer is bouncy enough and provides airflow for a cooling night’s sleep. The next 2 inches of Relieving memory foam layer gives the body contouring and pressure relief which you expect from any of the memory foam mattresses. The last 6 inches of base foam layer provides strength, support, and durability. This Leesa mattress is designed for all kinds of sleepers whether you’re a back sleeper, stomach sleeper or side sleeper, the Leesa mattress adjusts to how you sleep. The America’s leading consumer publication has rated number 1 as a direct to consumer mattress. To decide whether you have to buy it or not they offer you to try it for 100 nights with Leesa. This Casper mattress designed is very good as its top open-cell layer uses convection and conduction to move heat away from your body to help you to sleep cool throughout the night. The best thing about this mattress is that it comes with 4 layers of foam. The top layer of this mattress is responsive polyfoam which is 1.5 inches of thick. The second layer is also 1.5 inches of thick but this one is of traditional memory foam. The poly foam is there in the third layer which is also a 1.5 inches thick. This last and the base layer of the mattress is designed to serve you as the foundation which is 5 inches thick. Overall this 4 layers of a combination are built for bounce, breathability, and support. The Casper foams are certified by Certi-Pur for free of ozone-depleting chemicals and meet regulated low emissions standards. This Casper mattress offers you to trail 100 nights and also in case if you will buy then you will get 10 years of warranty. Buy this Bear Mattress with the confidence and risk-free it is because this mattress is certified by CertiPUR-US and also gives you 10 years of warranty. This mattress cover is made of special kind of material which is “Celliant” it helps to absorb the body’s heat and give you a better sleep. The mattress is built with the 3 memory foam layers and the top layer is of Graphite Gel Memory Foam which is 7x cooler than the normal memory foam mattresses. The second layer of the mattress is a Response Foam which improves the spinal alignment and pressure point relief. The last layer is of high-density support foam which strengthens the comfort layers and gives long-lasting durability. After going through this article now you know that there is a number of high-quality memory foam mattress brands are available online. If you are planning to buy one for you then the above all are the best quality mattresses and brands. Also, almost all the brands offer you a trial period to think to buy or not and after that if you will buy then you will get a warranty of the mattress. I hope that this article helps you to find the best mattress for you, also provides you the best information about the mattress at one place which you are finding.